Janine Barends is eleven years old. 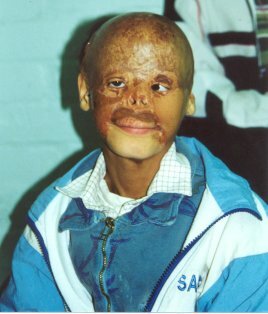 She was burnt as a baby, allegedly by falling into an open fire on the Western Cape farm where her mother still lives. It is also understood that Janine had mild foetal alcohol syndrome. Janine has had no schooling at all in 2002 because of her operations schedule. 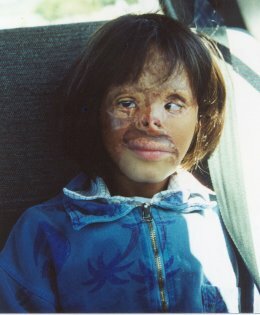 In late August 2002, Janine was 'abducted' from the farm by her own mother, who decided in a drunken stupour that she did not want to be parted from her child. Mrs Marx, the farmer's wife, said that the mother finally agreed to bring Janine back and let her go to hospital for further treatement. 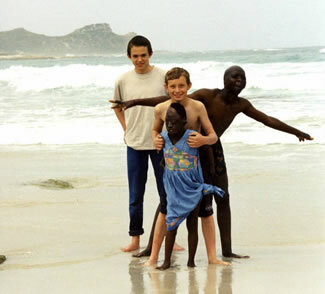 Janine should be back at the Red Cross hospital in Cape Town by mid to late September 2002.